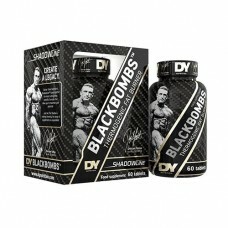 Blackbombs is a powerful fat burner that contains multiple thermogenic compounds that turn fatty acids into energy. Start by taking 1 tablet a day before assessing tolerance, then take 2 tablets twice daily to benefit from its power to blunt appetite and suppress cravings. • All ingredients are naturally produced by the body or found in nature. Premium quality sliming pills containing a high amount of caffeine with no added sugar in order to stimulate the body to create even more energy while suppressing cravings.